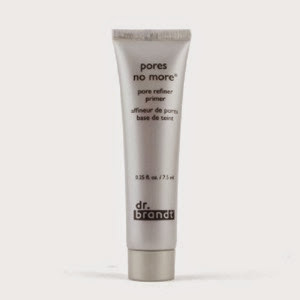 Pores No More Pore Refiner Primer is Dr. Brandt’s quick fix for flawless, photo-ready skin. It is the miracle base to create the perfect skin canvas for long-lasting makeup and well-preserved skin. This velvety formula absorbs excess oil, minimizes pores, blurs fine lines and is resistant to sweat and humidity. 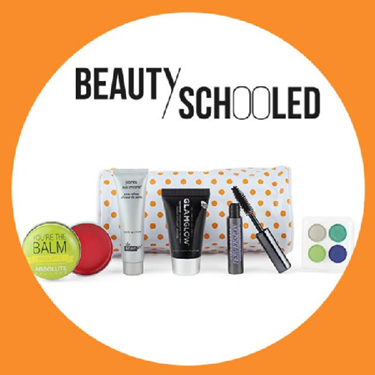 20% off + free travel size of this product + free shipping with code IPSY20 until 10/31/14. Urban Decay’s ultra-creamy, lengthening and volumizing mascara features triple-black pigments and a deeply nourishing ingredient blend. 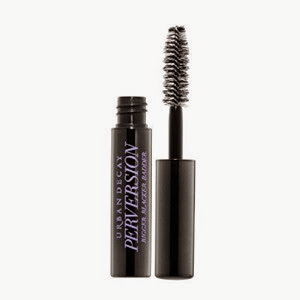 Free Sample of Subversion Lash Primer while supplies last. The collection glides for every girl—from classic neutrals to the trendsetting shades in mattes and shimmers. The high-quality formula and texture can be worn wet or dry. 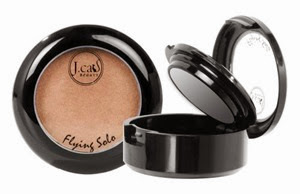 Each shadow opens up to reveal a mini mirror and applicator, making this shadow perfect whether at home or on the go! 25% off with code JCAT25 until 9/30/14. 50% off lip conditioners with code IPSY50 until 9/30/14. 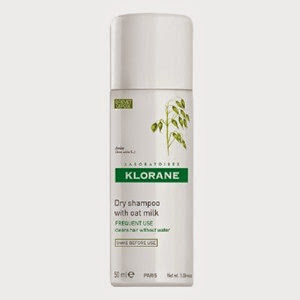 Klorane Dry shampoo with oat milk gently revives hair, ridding it of excess dirt, oil, build-up and odor while leaving hair soft, clean and full of volume. 15% off with code IPSYAUG until 9/30/14. Once again, I pay $10 a month for these bags. I love seeing what comes my way each month! The value received this month was $31.74, a bit of a higher value than last month. 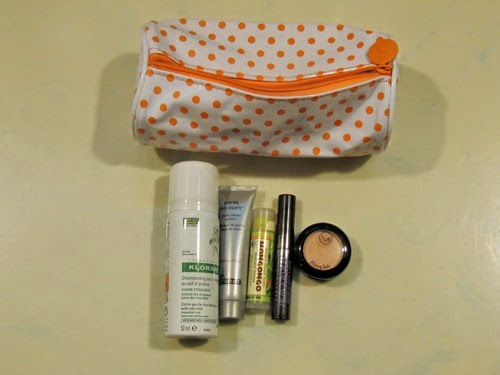 I was mostly happy with the products in this month’s bag. The Pore Refiner went on nicely and can be used as a foundation, which I don’t necessarily need along with my current makeup routine, but is worth having for occasional use. I love Urban Decay and have started using this mascara daily. The eye shadow is good for a base – and I didn’t realize it comes with an applicator and a mirror so I have to check that out! 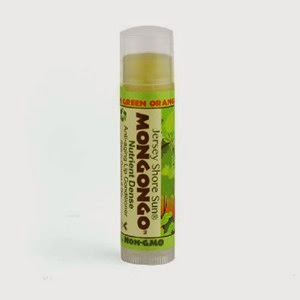 I wouldn’t say I needed another lip balm, but this one smells nice and also feels nice. Finally, the dry shampoo may not be so great for curly hair, since it needs to be combed out, but I wonder if it might work on my hair when it’s straightened and then I can keep it straight for longer – we will see!